Welcome to our Congenital Heart Walk fundraising page! Ethan was born in 2013, a beautiful boy weighing 7 lbs 12 oz, eyes wide & bright. It was 24 hours later that our family learned Ethan has Hypoplastic Left Heart Syndrome, a critical heart defect where the left ventricle is underdeveloped and non-functioning. The plan of care involved three surgeries with the first being 3 days after his birth. Ethan had the final surgery, the Fontan, in June 2017 and is a thriving FIVE year old today. 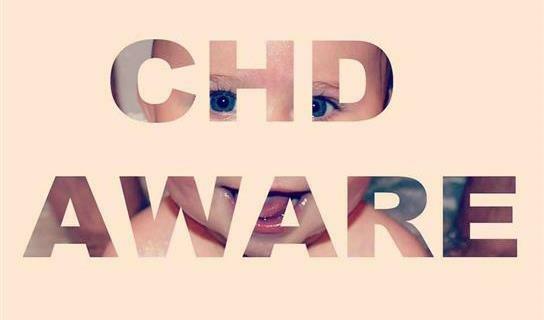 Medical research and advancements have given children with HLHS and other CHDs a chance at life. The Congenital Heart Walk series directly supports the mission of The Children's Heart Foundation: to fund the most promising research to advance the diagnosis, treatment, and prevention of congenital heart defects. You can contribute to their mission by donating and/or joining our team at the 2019 Walk. We hope to see you there while crushing our fundraising goal! Walk shirts are available for purchase! This year we are switching things up and using Next Level Tri-Blend as the brand. These shirts are SUPER soft. Goal is to sell 50 which raises around $230 for the Children's Heart Foundation. Let's try and exceed that goal, friends! We will have shirts as part of the fundraiser again this year. Stay tuned!